Are you afraid to let the light in? Do you find there are times when it can be hard to be anything but your suffering? I know I experience that. Today I came across this quote and I found it so moving. 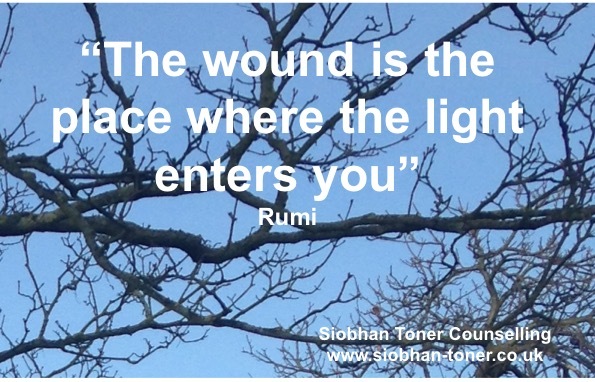 Our wounds are painful and reminders of what we have been through, but they can be so much more. I identify the light as empathy. The ability and willingness to sit with someone else pain and to help them come to terms with it. To be able to reach deep understanding of others in a non-judgemental way. Without my own wounds I wouldn’t I don’t think I would have developed this ability to the extent I have.